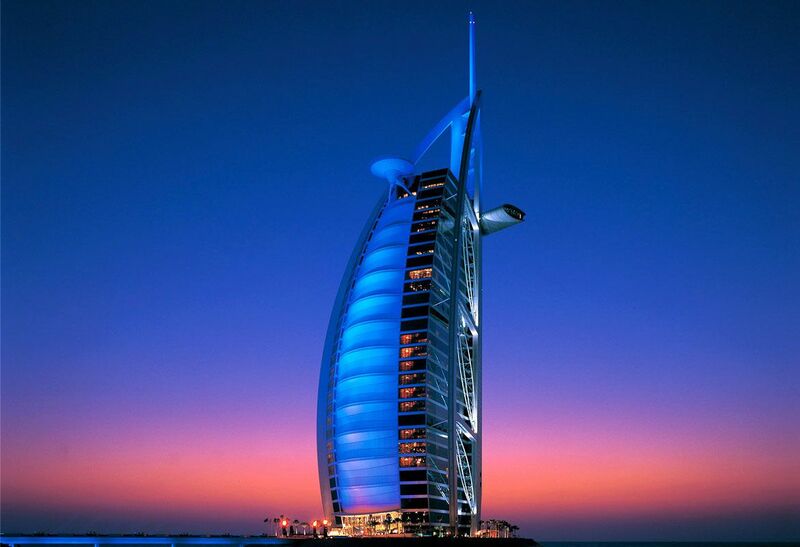 Burj Al Arab is a luxury hotel located in Dubai, United Arab Emirates. 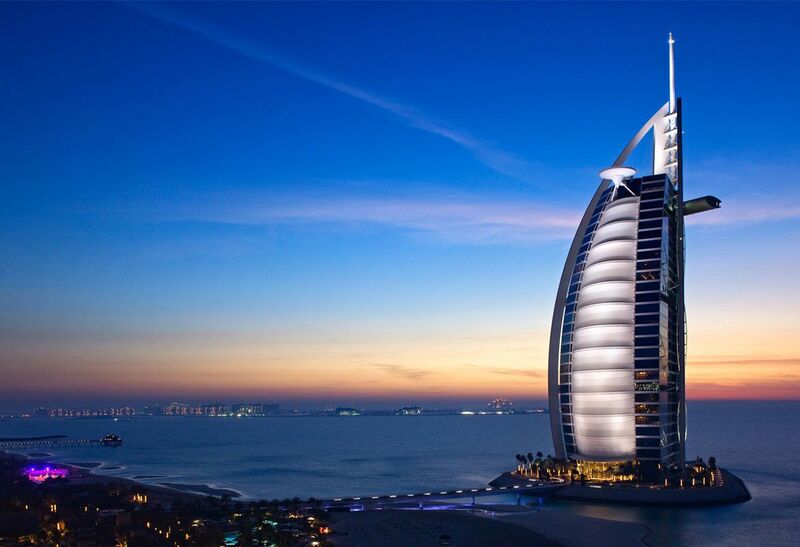 At 321 m (1,053 ft), it is the fourth tallest hotel in the world. 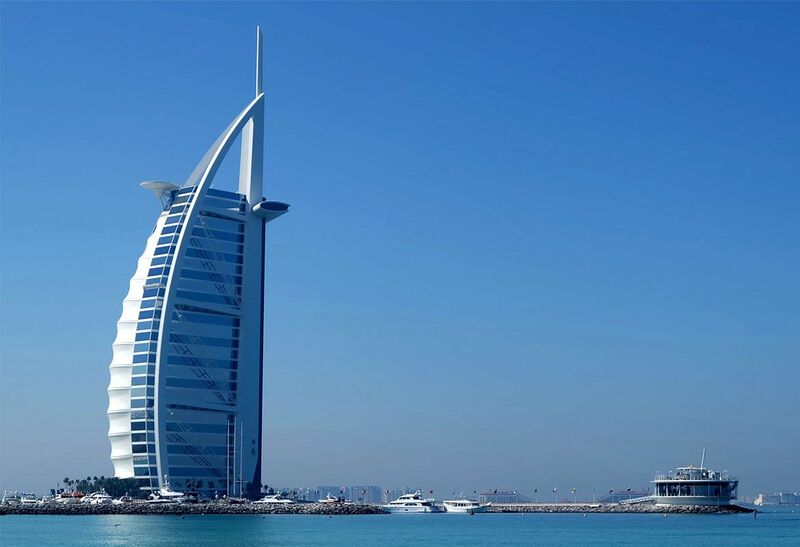 Burj Al Arab stands on an artificial island 280 m (920 ft) from Jumeirah beach and is connected to the mainland by a private curving bridge.